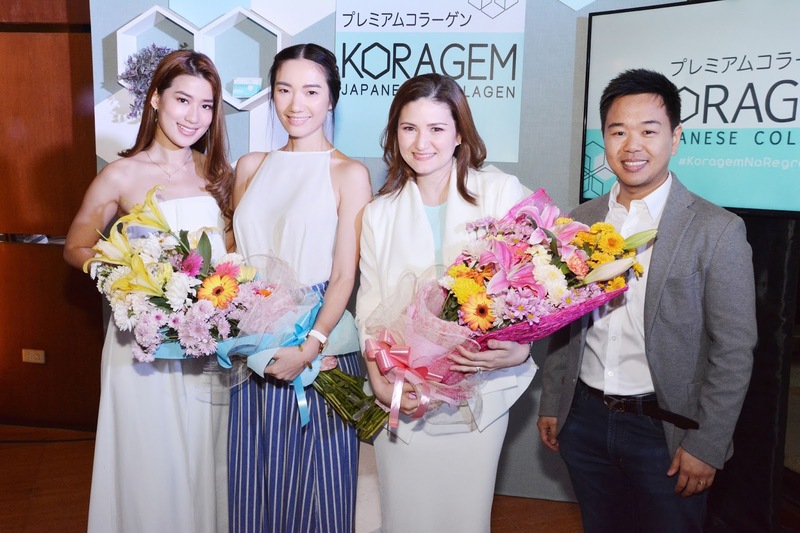 It was a delightful afternoon with as Koragem Premium sharing invaluable insights to the collagen craze. Host Janeena Chan welcomed media guests and beauty enthusiasts such as beauty queen Mafae Belasco, wellness advocate Em Sulit, The Parenting Emporium’s Maricel Cua, and lifestyle blogger Keri Zamora, to write down what they are scared to regret and post them on the Koragem photo wall. With wishes such as “living life to the fullest,” “saying no to happiness,” “reaching my fullest potential,”Koragem believes you can prevent these from happening with the help of their collagen supplement. Collagen helps promote a lot of things, including healthy hair and nail growth, joint and cartilage strength, skin elasticity, cellulite and stretch mark reduction, protective coverings of organs, and replacement, restoration of dead skin cells, and lowers triglyceride levels. It is also recommended that one starts taking them as early as 25 years of age, with collagen synthesis starting to decline at the age of 40. 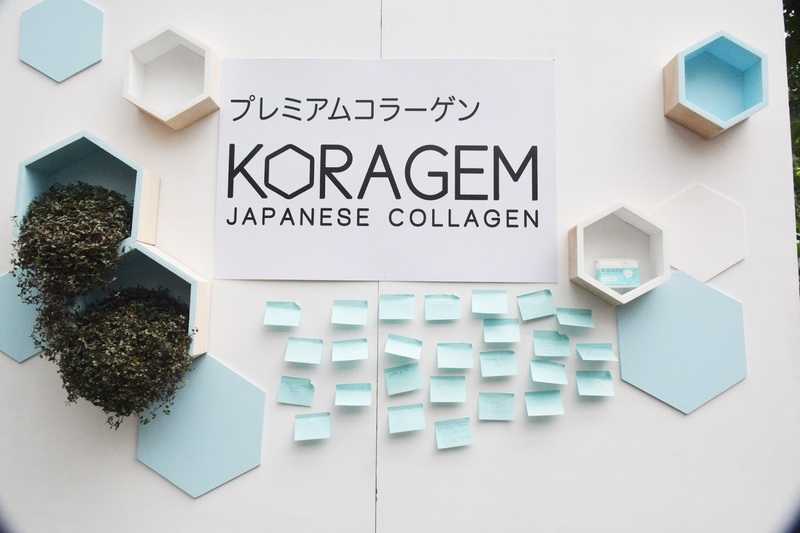 Sourced from the highest grade of hydrolyzed marine collagen from Japan, Koragem boasts of high-degree purity that comes in natural, odorless, colorless, and even tasteless form. Unlike other collagen supplements that require an intake of more than one tablet, all you need is just one Koragem daily to deliver optimum results. 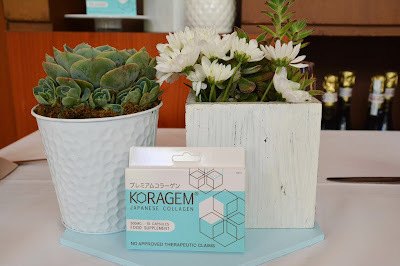 Koragem has a unique combination of NAC (N-acetylcysteine) and Hydroxyproline that makes it hardworking. This combination helps boost collagen absorption, while protecting and detoxifying the body against free-radicals. Collagen has three types. Type 1 and Type 3 are marine collagen that are extracted from the scales and skin of wild saltwater fish, while Type 2 is called bovine collage that are sourced from beef, pork, and chicken. Marine collagen is proven to be a better option compared to bovine collagen, because it is quickly absorbed (1.5 times faster), easily digested, fat-free, and helps slow down the effects of aging while strengthening the bones and joints as well. After Dr. Anna Palabyab’s talk on collagen, host Janeena welcomes Koragem brand ambassador Jessica Yang who isn’t new to taking supplements. “I am actually very lazy, I don’t put cream on myself. And this is a big help, and very convenient, and very effective,” she shares. “It takes so much time to apply lotions. You just pop in a pill,” adds host Janeena. This statuesque model is also fresh from a trip abroad. “I went to Korea late January and I actually injured my knee. So I am wearing a knee brace. The doctor told me that I should be ok in 6 weeks. But I am not joking now, I feel much better now. That’s why I am here. I can really feel that I am healing faster. It just came right on time,” explains Jessica. Yes, Koragem delivers a lot of benefits, in just one pill, once a day. Convenient, fast and efficient in delivering results from within, Koragem lets you live life with no regrets.